The town expanded taxi regulations to include ride-sharing services, but has so far not spoken with company representatives. 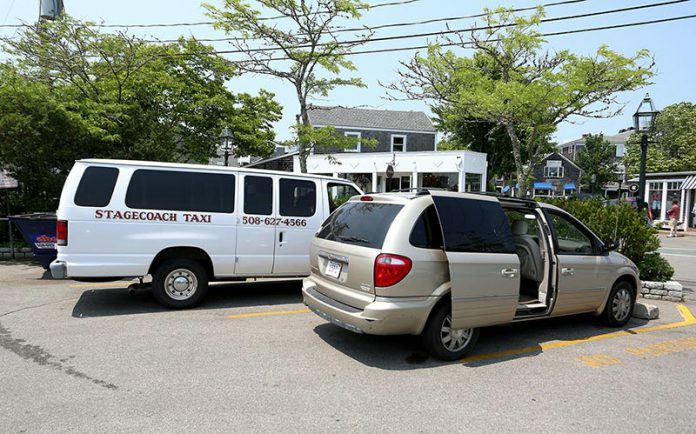 For the most part, when Edgartown officials want to address taxi issues, it is a local matter. Companies are locally owned, and most business owners are easily reached. With the appearance of Uber, the international Internet-based ride-sharing service on Martha’s Vineyard, that is no longer true. Nearly three weeks after Edgartown selectmen voted on June 8 to expand taxicab regulations immediately to include transportation network companies (TNCs) and private cars, Edgartown Town Administrator Pam Dolby said she has unearthed a point person at the company’s Boston location, and has sent in a copy of the changes. Until Monday’s selectmen’s meeting, she had been unable to reach a representative from Uber to discuss what is required for the company to operate in town. Any driver operating under the auspices of Uber who does not meet the standards set by the town is in violation of the regulations. In line with those regulations, Uber and its drivers could be subject to fines, Ms. Dolby told The Times. Ms. Altmin said she was unsure when the company would be done reviewing the expanded regulations, but said that nearly 50 jurisdictions in the past year have adopted regulations that included ride-sharing companies. For the moment, drivers can look to Uber to pay any fines associated with a violation of the new regulations. “We stand by our [drivers] should they face fines as a result of their partnership with Uber,” she told The Times in an email. Edgartown’s taxi regulations now reference TNCs except in the case of taxi stands. Uber rides are booked through the Uber smartphone app, not through in-person solicitations or phone calls. Under the changes, Uber must apply for licensing before the board of selectmen to operate a transportation business, as well as have all vehicles in its fleet licensed to transport customers. Drivers must also be licensed by the police department, just as taxi drivers are. Vehicle drivers must identify themselves, in accordance with advertising regulations, and the company name must be displayed on each side of the vehicle, and the town name must be on the back. Other regulations the company must abide by include rules which govern fare limits and driver behavior and expectations. A Boston University (BU) student from Chilmark and Uber driver, who agreed to speak to The Times on the condition of anonymity in order to avoid any repercussions, said he has driven for the company in Boston since last September, and has driven for Uber on the Island a handful of times since Memorial Day. He said he doesn’t understand how the new regulations can be effective immediately if Uber hasn’t been notified yet. “They’d have to let the company know, and the company obviously doesn’t know, or it would email all their employees,” the driver said. He added that he does not believe he works for a taxi company. Every interaction the young man described with Uber occurred through email. Virtually all communication with Uber happens through email, whether as a rider or a driver. “To contact the company, you have to email them, and if it’s something really serious, they’ll call you from a private number that you can’t call back,” he said. The Times attempted to reach the Uber office building in Boston last Friday, but was met with a muffled and unintelligible voice message. The phone number was linked to Uber Technologies, the part of the business that manages the app. No other phone contact available to the public could be found. The Times also spoke to Massachusetts Secretary of the Commonwealth William Galvin’s office on Friday. A spokesperson from Mr. Galvin’s office was unsure whether a business in Massachusetts is required to file a phone number with the state, since business could technically be conducted through physical mail. When Uber drivers accrue fines for city bylaw violations, the company has paid the bill. A simple search yields results across the United States, and even in Paris, of instances where the company has publicly stated that it will foot the bills for its drivers. This provides drivers with extra confidence amid increased city regulations. “If they did want to give me a ticket, Uber would reimburse me … so I’m not too worried, as long as it’s not a moving violation,” the Chilmark driver said. 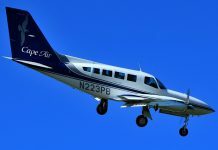 For example, Edgartown requires taxi drivers to identify their company on the exterior of their vehicles. Uber drivers use their personal cars without exterior identification. “I’m not going to put an Edgartown sticker on the back of my car. If that’s really the case, then I won’t pick anyone up in Edgartown,” said the Uber driver.